With 23 yrs experience we are standing ready to convey our skills and knowledge. Affordable. We travel as well.We also sell Puppet-show boxes as well as hand-made Puppets. Or you can order a Manuel and a 90 minute DVD. my name is Meike Wiechert and Iam working as a german volunteer at the Inkululeko Community Centre in Salvokop, Pretoria. The Inkululeko Community Center has a Day Care Center for Childre from 4 to 6 years old, a homeworkcenter for the preschool children and a holiday program called vana va hina. The vana va hina program is creating a holiday program for the children during their holidays. 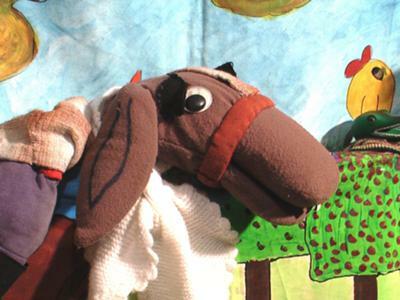 In our next holiday program we would like to show our 6-13 year old children a puppet show. The holiday program will be at theend of march till the beginning of april. We would like to do the puppet show on the 5th of april. Could you please send me a email, if it could be possible to offer our children one of your nice puppet shows for a small amount or for free? Please send me a email with your answear.